The clever and spunky R2D2 would serve bravely and fearlessly Padme Amidala, Anakin Skywalker, and Luke Skywalker on many missions and tasks. With his friend C-3PO almost always at his side, this pair of droids would end up on many adventures. 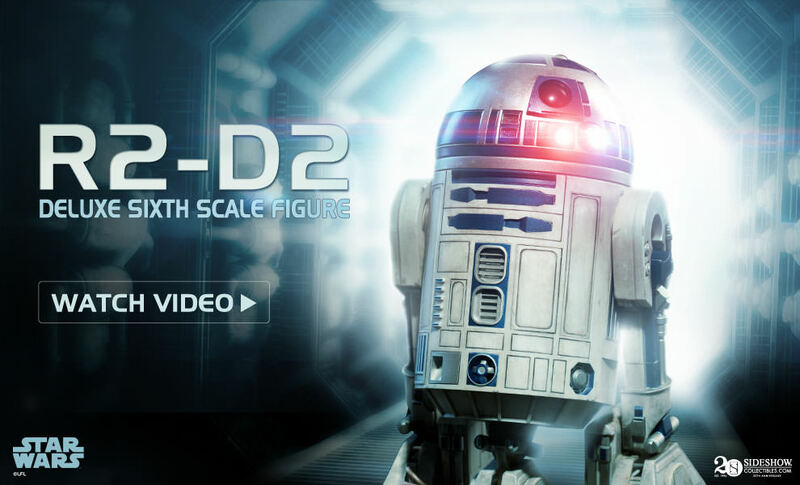 Sideshow Collectibles R2D2 Deluxe Sixth Scale Figure will be available for Pre-Order very soon to add to your Star Wars collection!